This is the 31st of 200 Glastonbury photos. We moved to Glastonbury in 1994 and left in 2000. We loved our time there and have wonderful memories of walking our dogs along Wearyall Hill and across the fields at the back of our house then along the banks of the River Brue. We were able to sit up in bed with a cup of tea in the morning and look at the sunrise over Glastonbury Tor. A very special place that we go back and visit often. 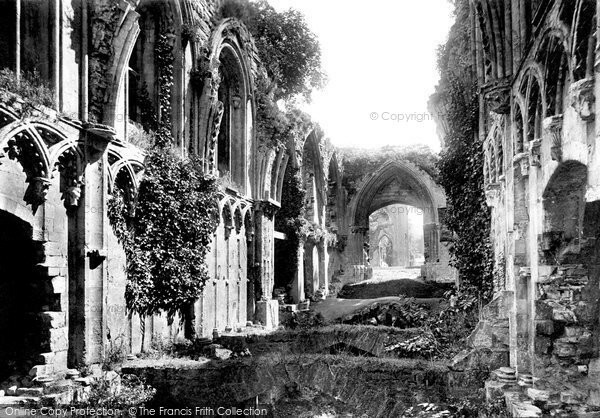 Buy "Glastonbury, The Abbey, St Joseph's Chapel 1904" Available as a print, mounted, framed, or on canvas.